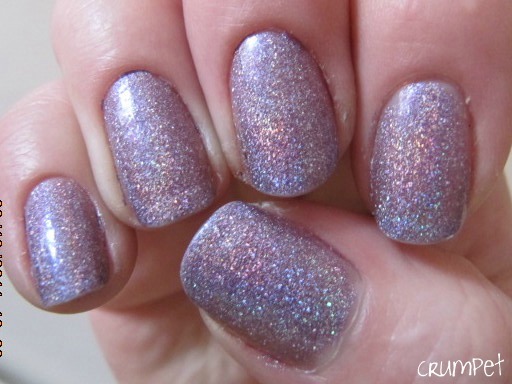 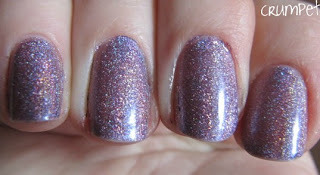 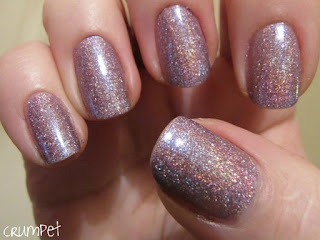 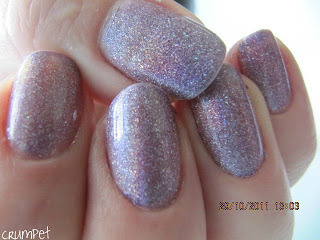 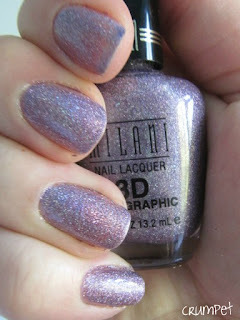 This is Milani 3D Holo polish in HI-RES, a goodie from my swap with Beeeee. 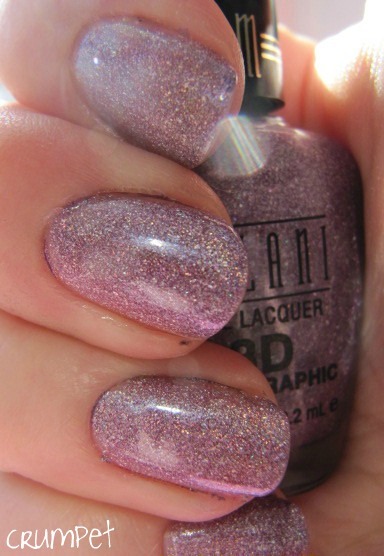 Milani is a brand that really interests me, because everything they do seems either sparkly, glittery or holo, which for me is ker-ching! 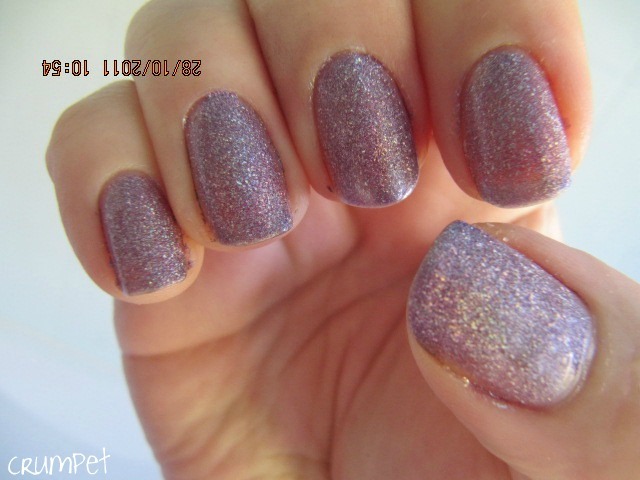 I was a little worried when I unwrapped Hi-Res that she would be too similar to OPI DS Original, but actually, there’s a lot of differences between them. 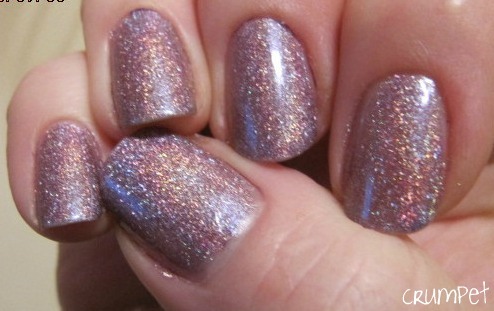 So, lets’ put it to the test of our all-new feature – Top 5 Facts! Ooooh, how did that feel ? I wanted it to be an easy “I’ve got 10 seconds, Crumpet, what do I NEED to know” type of feature – did it work? This really is a pretty polish and it keeps reminding me of multi-coloured sherbert and all things sugary. 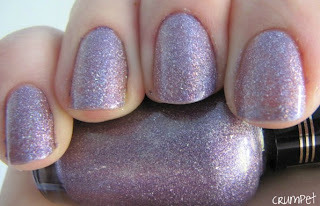 There’s also a velvet beigeness sitting under this polish which keeps it very neutral and poised on the nail.